"The aim of our self-learning technology is to minimise driver distraction, which will help reduce the risk of accidents. Presenting the driver with information just at the right time whilst driving will reduce both cognitive distraction and the need for the driver to look away from the road to scroll through phone lists, or adjust mirrors, temperature or seat functions while on the road. 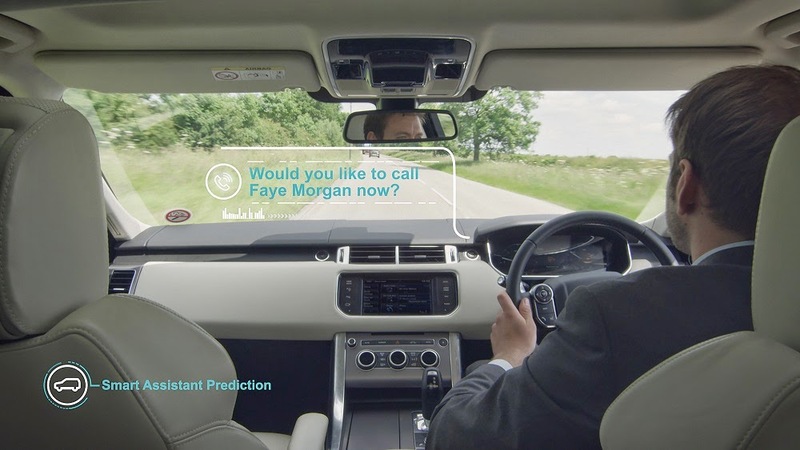 The intelligent car will recognise the driver by the smartphone or other device in their pocket and by the time the driver has opened the car door, the mirrors, steering wheel and seat settings will all be set to the individual's preferences. The cabin will be pre-set to the desired temperature - and be intelligent enough to change it if it is snowing or raining. If you are taking the children to school, the car will recognise every passenger and offer each their own preferred infotainment options - and the 'Smart Assistant' will review your calendar and remind you before you leave the house - by sending a note to your smartphone - to collect your children's sport kit as it knows you are going to their sports day. Vehicle Personalisation - climate, seat, steering wheel, mirrors and infotainment settings. Destination Prediction - automatic destination entry to navigation system based on historical usage. Fuel Assist - suggests fuel stations which have the driver's preferred brand and location, based on historical usage. The car will let you know if you have enough fuel before long journeys the day before you travel. Predictive Phone Call - predicts who you are likely to call in a certain situation. Passenger Awareness - will activate passenger preferred infotainment settings and personal climate zones. Intelligent Notifications - based on traffic situation, the car can alert people that you will be late or provide relevant contextual updates such as flight delays on your drive to the airport. Auto Adaptive Cruise Control (AACC) - when AACC is activated, the car applies the distance setting and acceleration profile it has learned when the driver is driving the vehicle.